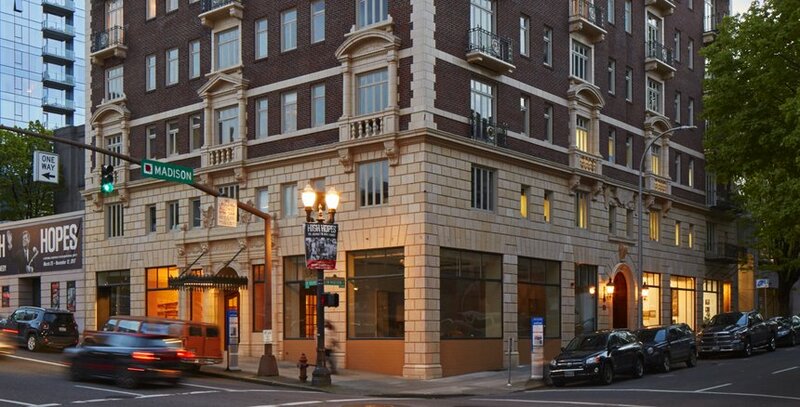 Charming studio apartments are available at the Sovereign on SW Broadway. 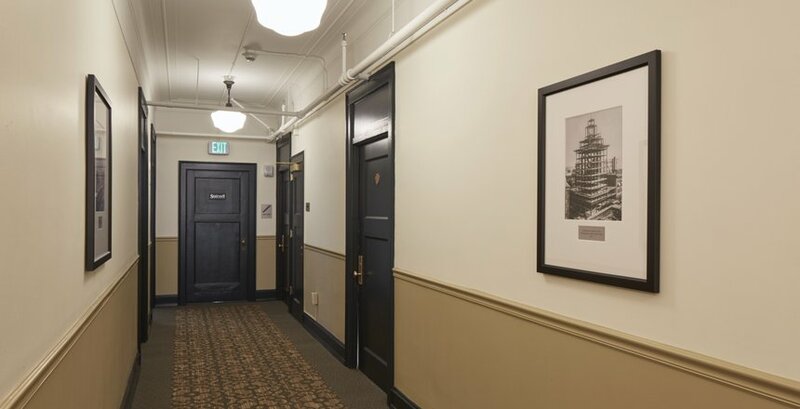 The Sovereign is a fully-renovated historic landmark built in 1922. 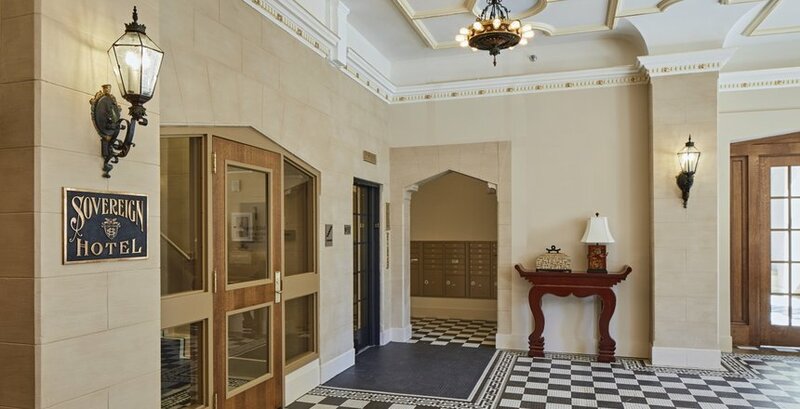 The lobby features original plaster, tile floors, and historic light fixtures. Common area corridors feature historic trim and broadloom carpet. 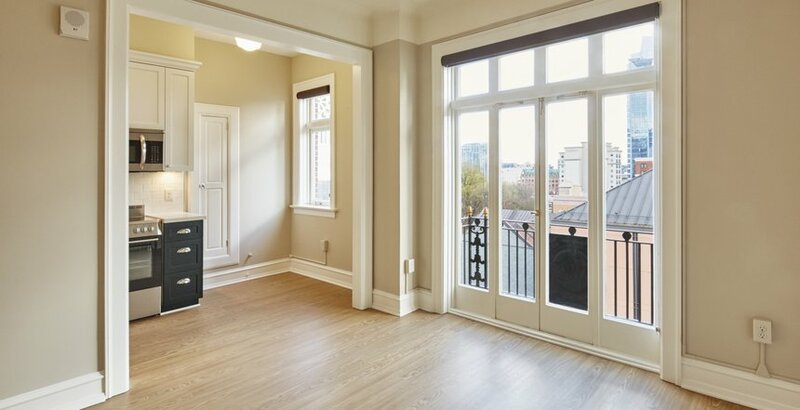 Abundant natural light and laminate floors. Enjoy downtown living in the Cultural District! Luxury and historic charm at the Sovereign! 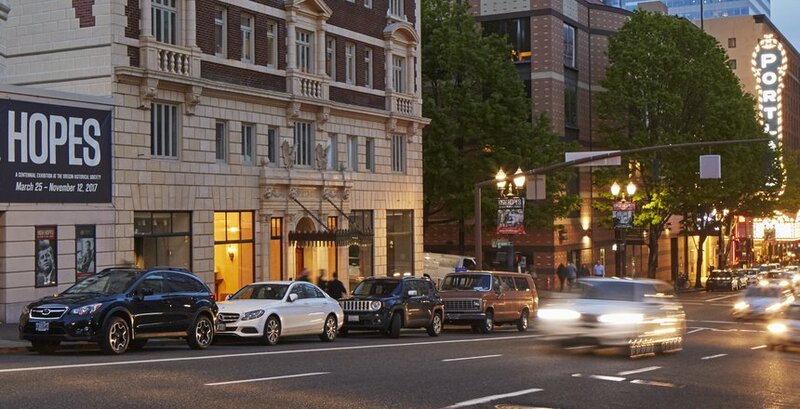 Beautiful studio apartments available at the meticulously renovated Sovereign Building in downtown Portland. Sizes range from 410-539 sf with high ceilings. High-end, designer kitchens with quartz counter tops and stainless steel appliances including range, fridge, and microwave. 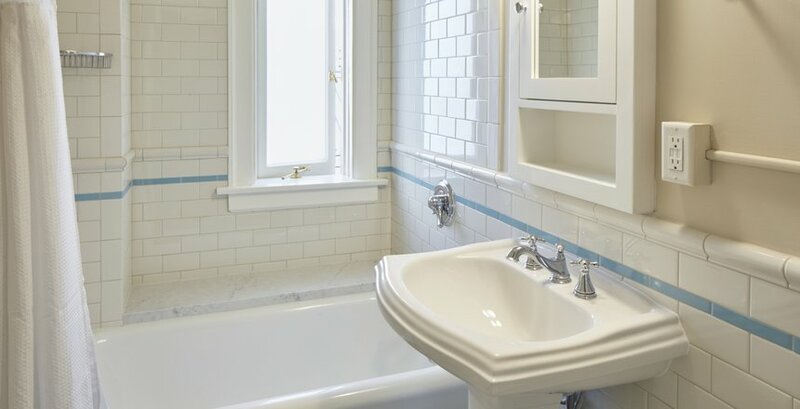 Charming bathrooms with subway and hex tiles. Wood styled flooring, ceiling fans, period fixtures. Most units have generous closets or dressing rooms. Updated electrical and plumbing. Comfortable steam radiator heat. Many units available with outstanding downtown views. 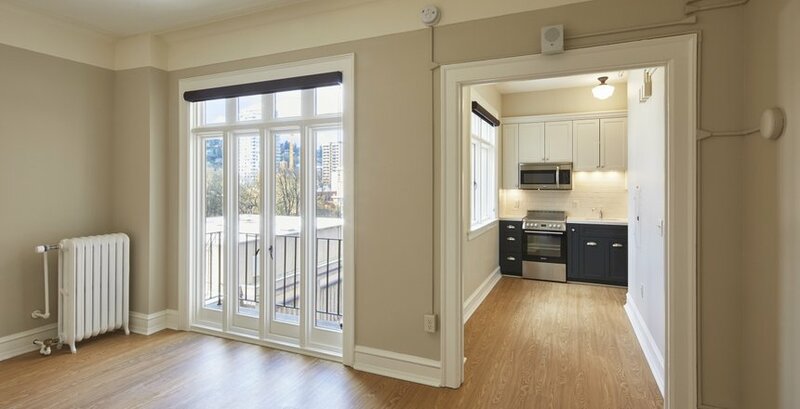 Abundant natural light and an amazing location in the Cultural District. Onsite laundry, bike room, and storage available. Beautiful restored lobby with 2 elevators. Cafe Umbria now open on the ground floor. !